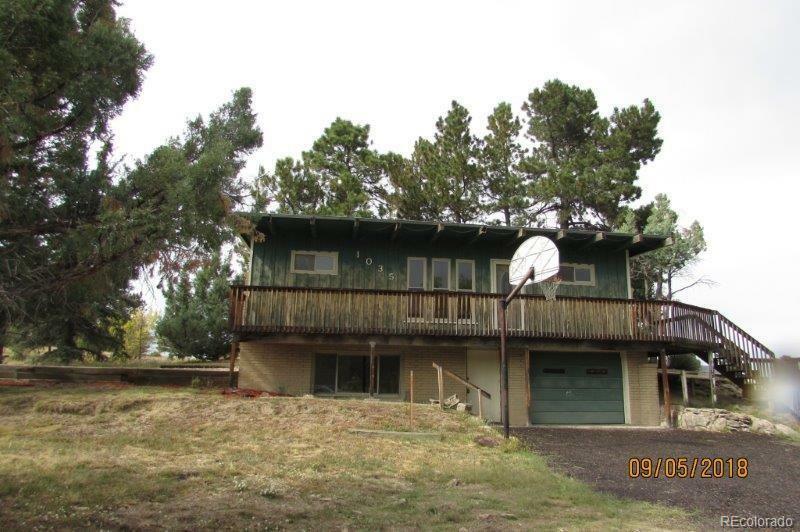 Just under 4 acres of scenic horse property in Elbert County. 2 lots ! Desirable ranch style home with finished walk out basement. Large kitchen with eating area; fireplace in basement family room; large deck; 2 barns located in back. New Well Pump and Pressure Tank; New Septic Tank system; located just 10 minutes from downtown Parker. Home has tremendous potential. Offered by Dubrova And Associates Llc.